Group Accommodation and Bunkhouse Accommodation in Wales and the Brecon Beacons. Find the best group accommodation and bunkhouse accommodation in Wales and the Brecon Beacons. If you want the best group accommodation and bunkhouse accommodation in Wales and the Brecon Beacons , then Gorge Walking Wales has it all on one web site. We check that every group accommodation listed on our Group Accommodation Page has all the things that a gorge walking group could need. Plenty of drying areas, warm rooms and comfy beds etc etc. If you feel that any of these group accommodations are not absolutely perfect for gorge walkers then please let us know straight away. If you don't know exactly what group accommodation and bunkhouse accommodation is all about click here to find out more. 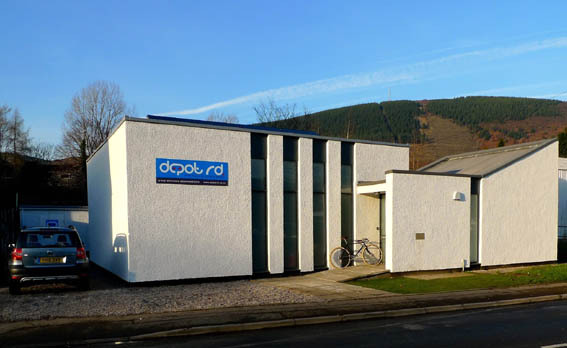 Depot Rd is a strikingly modern 1970s chapel conversion, sensitively designed and built by outdoor sports enthusiasts to combine, comfort, space, light, and all the mod cons you would expect, and a lot more. There is a dedicated drying room with full laundry facilities. Secure bike and equipment storage and outdoor wash area. We have created a unique and tranquil haven to suit friends (human and pets), families, and groups of any age to enjoy. We have over 220 sq.m of internal living space, 3.5m high ceilings, underfloor heated slate floors throughout, designer wood burning stove, and a fully appointed stainless steel ‘cooks’ kitchen. Broadband Wifi, 5 star HiFi, 40” Smart TV with Blu ray entertainment system. A zen like interior courtyard and a spacious south facing rear courtyard with large gas BBQ means fabulous outdoor entertaining. The accommodation comfortably sleeps 12. Three bedrooms each with ensuite walk in shower rooms; each with the option of twin or kingsize beds and 2 luxury fold away bunks. There is ample space for cots and we will be getting a sofa-bed soon. All quality linen and towels and tea-towels provided. 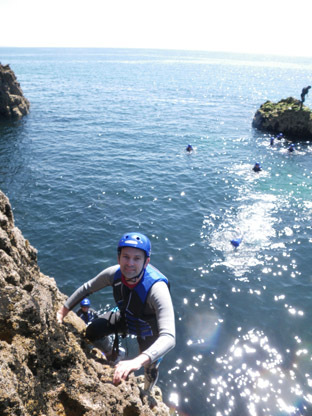 Walkers Lodge is a family-run bed and breakfast lodge near Haverfordwest; ideally located for the beach and coasteering as well as boat trips to Skomer and the Islands. Dogs welcome. Ideal for families and group bookings. 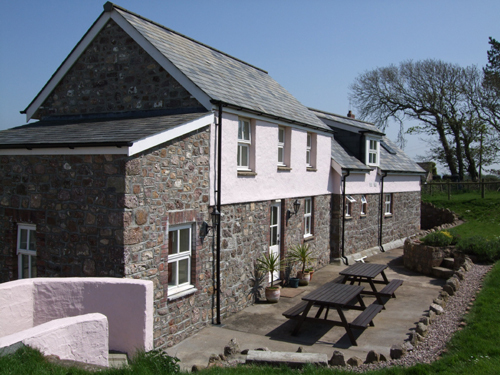 Walkers Lodge is the perfect location for any activity breaks in Pembrokeshire. Also new for this year, a self catering option, (groups only) guests have use of a kitchen with oven/hob, fridge, microwave, toaster, kettle and ice machine. We have also added a Nintendo Wii and WiFi into our guest lounge. Guests choosing the B&B option are treated like an additional member of the family, being included in breakfast and evening meals if they choose to be, and are provided with a large lounge/dining room with logburner, TV, DVD, Nintendo Wii , WiFi and CD player as well as a range of books and games. This ideally located home from home is perfect for any guest wanting a homely, active holiday in a beautiful area; with quaint villages waiting to be discovered and explored. Walkers Lodge is just a short walk along Settlands beach from Broadhaven; and is perfect for coasteering as well as sailing, swimming and surfing. A working farm in the heart of Gower, Hardingsdown Bunkhouse was originally a set of stables, that has been renovated to provide a modern, spacious, and welcoming bunkhouse accommodation for 12 to 14 people. The bunkhouse is designed to host all types of activity group visitors from family holiday get-togethers, walking groups, cycling, and surfing enthusiasts to management training courses. 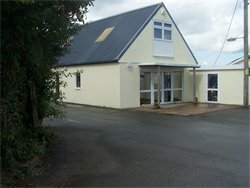 A perfect venue for visitors to experience all that Gower has to offer. The ground floor consists of a fully equipped kitchen with 6 ring cooker and 2 fridges, 2 shower/toilet rooms, a large living room with 3 sofas, and 2 single chair-beds. Off the living room is a bedroom with a bunk bed sleeping 2 people. The ground floor is heated throughout with under-floor heating – very cosy during those chilly winter evenings! A spiral staircase leads upstairs where there are 3 bedrooms sleeping 5 (single beds), 3 (1 bunk bed and 1 single bed), and 2 (1 bunk bed). There is also another shower/toilet room. The upstairs is heated with radiators in each room. Outside there is ample parking and at the back of the bunkhouse is a patio area which catches the evening sun – perfect for barbeques. A separate drying room is available for drying outdoor gear and a lock-up for storing bikes, surfboards, canoes etc. An outside tap is close-by for washing down gear and kit. YHA Port Eynon is an old Lifeboat House, situated just yards away from award-winning Port Eynon beach. Great value, cosy, budget accommodation of a very high standard, it can accommodate up to 30 in 8 bedrooms: 1 x 8 bedded with fantastic sea views, 4 x 4 bedded and 3 x 2 bedded, all bunks. Sole use of the hostel is available (minimum booking 24 ), or you can book a room or a bed. Self-catering only - we have a small shop and licensed bar selling a range of wines and beers - with a large, well-equipped kitchen and a lounge/dining room with log burner and sea views, and a drying room with facilities to wash wetsuits. Outside area with picnic tables to enjoy the sunset or a beach bonfire – when the tide goes out there’s plenty of space! In the village is a pub, restaurant (seasonal) and highly recommended fish and chips. Q. What is group accommodation. A. Various types of buildings will qualify as group accommodation, it is basically the ability to accommodate a large number of people, often in a self catering capacity. The sleeping arrangements could be single beds, double beds or bunk beds. Q. What is bunkhouse accommodation. A. A bunkhouse is a building that will usually sleep a large number of people in bunk beds. The accommodation can be basic but will always be clean and well maintained. Many can be booked for sole use and most will allow a smaller group to book the accommodation but you could be sharing with other people. Q. What does self catering accommodation provide. A. Self catering accommodation will always have a well equipped kitchen capable of catering for the maximum number of occupants. There will also be fridges and often freezers to take all the food that a large group could bring.